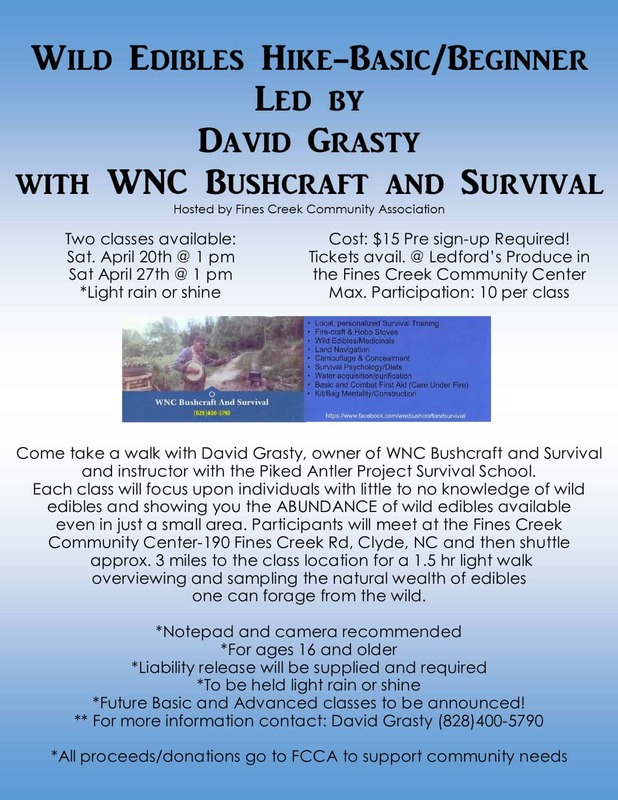 Come take a walk with David Grasty, owner of WNC Bushcraft and Survival. Each class will focus upon individuals with little to no knowledge of wild edibles and showing you and abundance of wild edibles available even in a small area. 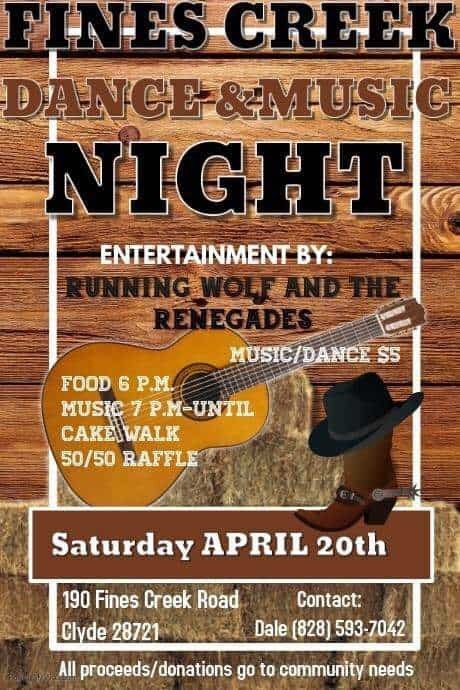 Participants will meet at Fines Creek Community Center – 190 Fines Creek Road and then shuttle to the class location for a light 1.5 hour light walk overviewing and sampling the natural wealth of edibles one can forage from the wild.